For one thing, it’s easier, almost Twitter-like. Just have a thought and post it. Posting on this blog, by contrast, I treat much more seriously — like I’m writing an article. It sometimes takes days just to get a single post just the way I like it. Which, pretty much by definition, means there are going to be fewer posts here. It also sort of means they’re probably going to be better ones, though. In any event, one piece of news that I don’t think I’ve posted here at all, but that has been in the works for more than a year and has been “big news” among my circle of friends on Facebook is our impending move. 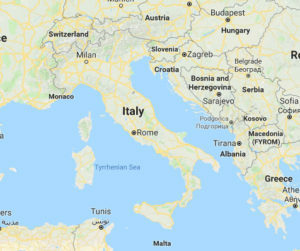 We are moving from Texas to Italy. You remember back a couple of years ago when I first discovered I was legally an Italian citizen. Then I collected all my paperwork, filed with the Italian consulate, and was formally recognized as a citizen. And then, well, one thing led to another. 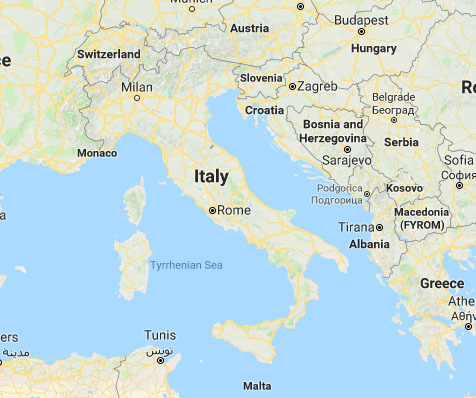 My wife and I had been to Italy a few times, and we had half-jokingly said, “Gee, we ought to move here one day.” Fast-forward a couple of years and here I am a legal Italian citizen. I am suddenly able to move to Italy as easily as I can move to California. OK… maybe not quite so easily. But no visas, no paperwork, no waiting for approval, no limits on how long I can stay or if I can work. Basically, I am now able to just pack my bags, show up, display my Italian passport, and have the border guards say, “Benvenuto a casa” (“welcome home”). And now the time has come. We have been planning and researching and talking to people and getting ducks in a row for well over a year. And now it is getting real. One-way plane tickets are booked. The house is sold. Various reservations are made. Just today the movers came and took away all of the belongings we are having shipped over there. These will, unfortunately, remain in storage for a couple of months while we get ourselves settled, because at this point we do not have a permanent address to go to. But we are getting down to the nitty-gritty, and it’s almost time to hit the road. It is quite exciting. It is quite terrifying. We have spent a good part of our lives embarking on adventures of one sort or another, and this is by far the largest adventure we’ve ever undertaken. It has its risks, but we’re okay with that. You fall down, you get up again and move on. We’ve spent a good part of our lives doing that as well. We’ve learned to improvise. Something unexpected happens, you adapt, you go with the flow, you make it up on the fly. Because isn’t that what life is anyway — making it up as you go along? We are not rich people, we are doing this on a very limited budget, so there are risks in that respect as well. But nothing ventured, nothing gained. No guts, no glory. All those other cliches which are, when you get right down to it, very, very true. Awhile ago, Vicky had a sign made up to hang on our wall. She has a friend who is quite artistic and who did a really good job with it. The sign reads, “Vivi la tua vita fino a quando tu muori” (“Live your life until you die”). That is what we try to do. Each of us has always been that way, to one extent or another. Since we’ve been together, we have brought out those qualities in each other and have become more “conscious” about it. By that I mean, we used to do it kind of instinctively, now we do it consciously and intentionally. This was spurred on even more by the minor heart attack I had a few years ago, which brought home the point that you do not know how long you have left in this world — so you had better make the most of it while you have the chance. Stay tuned here for more, because I have a feeling I’ll be writing a lot more blog posts from here on out, and you can see how it goes.